Once the paperwork has been completed, you will have a consultation with the doctor to discuss your health-related problems, concerns, as well as your health history. In order to determine what your actual problem is, the doctor will ask you various questions related to your condition. Next, a number of specialized tests will be performed to determine which areas are affected and to what extent. Your specific condition may require x-rays to be taken. Dr. may recommend this in an effort to develop the most effective treatment plan and properly diagnose or rule out more serious conditions. Once examination and all appropriate studies are complete, patients will generally be provided with their first treatment. 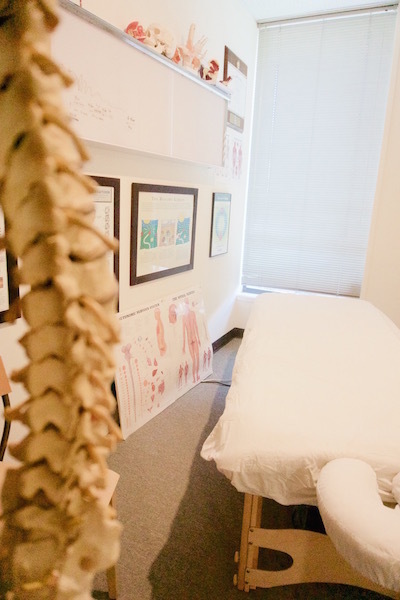 This may include spinal adjustments, physical therapies, and/or soft tissue therapies. Prior to leaving, patients will be given instructions on certain activities or procedures to be conducted at home. You will be given a convenient appointment time for your follow-up visit.